A would-have-been cookie cutter condo is transformed into a welcoming, laid-back home that marries style and function. 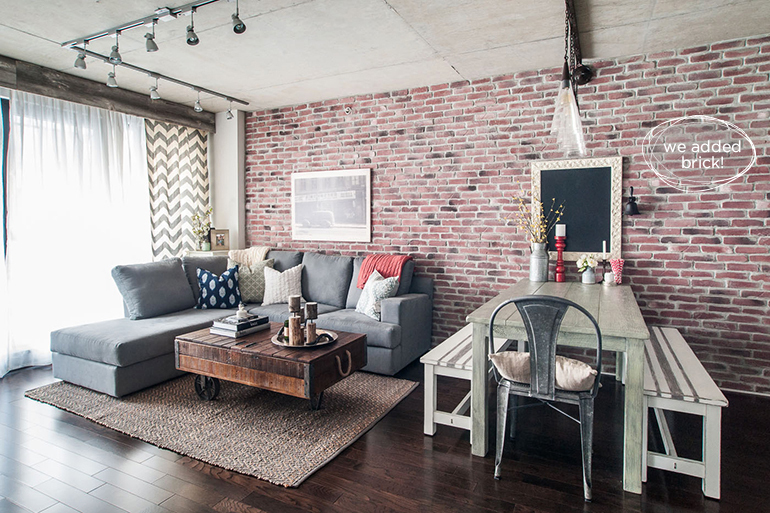 An active young couple wanted to make the most of their downtown one bedroom condo. It was important for them to feel comfortable and relaxed in their home and also have room to entertain. 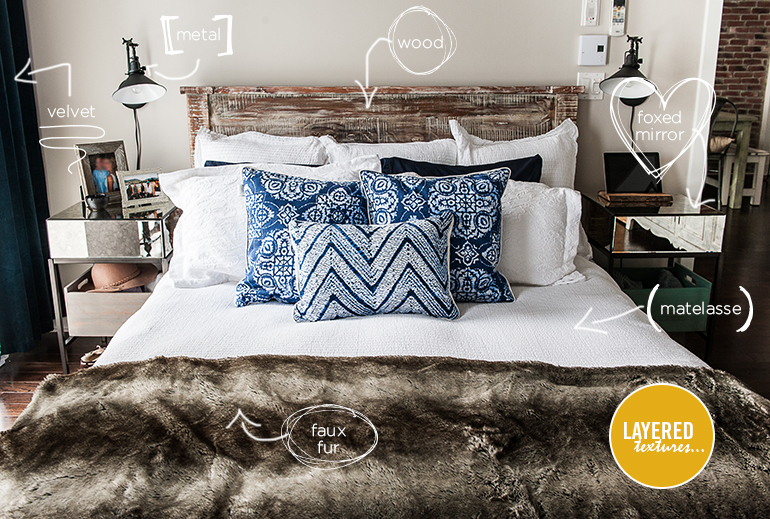 The challenge: creating an uncluttered, cozy space with good flow. The first step was to break down the open-concept main room into individual spaces: kitchen, dining and living room. There were two requirements; a big comfy couch in the living room for hanging out and watching movies or sports, and a dining table with enough room for guests. You can see from the before (mid-construction) image below how tight the space seemed without furniture. 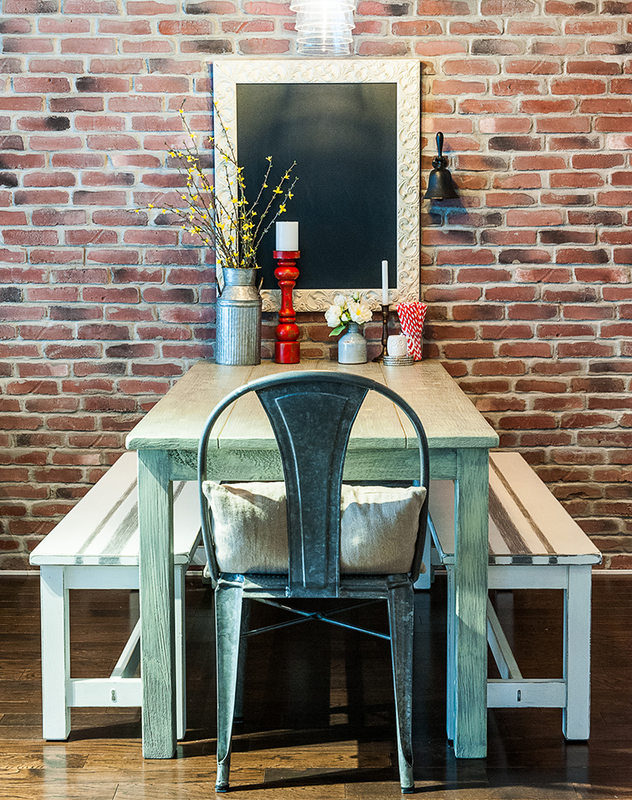 A narrow dining table with benches instead of chairs was the key to maximizing this space and creating versatility. Pushing one end of the table against the wall allowed us to add an occasional chair at the head that can be moved around as needed. This also enabled us to create a fun diner-style arrangement at the end of the table. 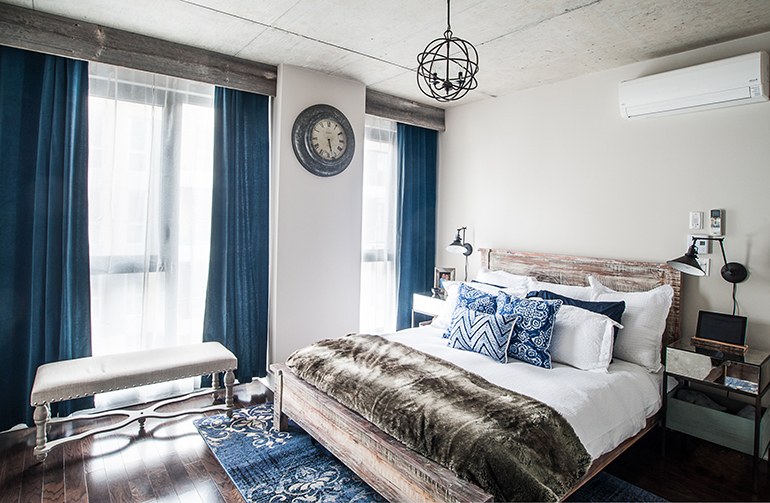 Creating coziness to contrast with the concrete, brick and industrial nature of the condo was achieved through layering in a variety of textures (especially wood!) and soft, warm tones. 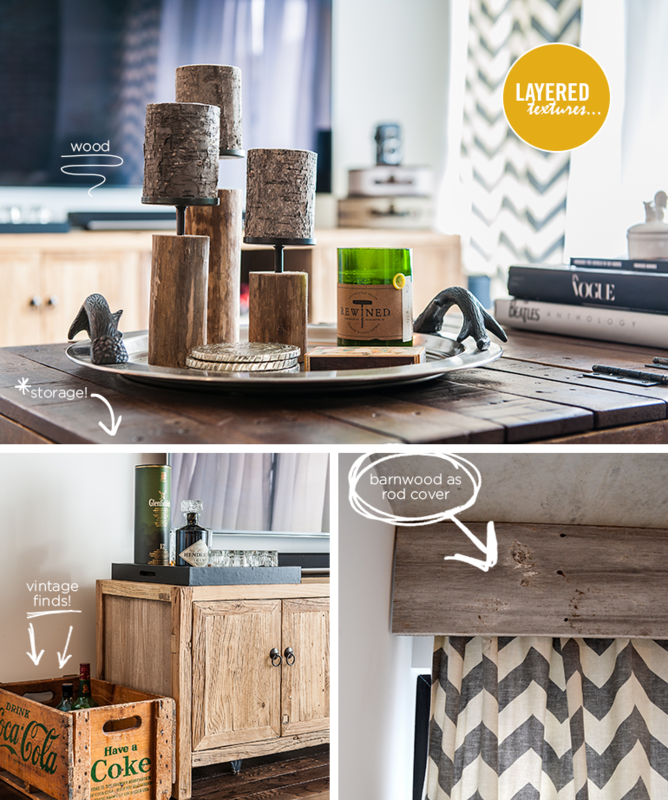 Unique finds and meaningful pieces make the space feel like home. Fresh and airy…a peaceful retreat. Bring on the texture! This cozy and luxurious room is filled with texture and warm, earthy tones. 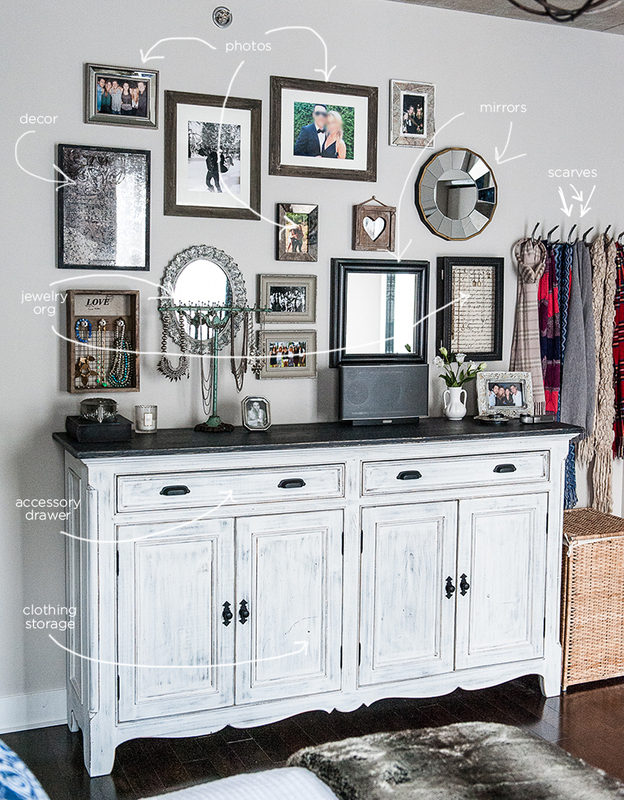 A custom buffet-style cabinet was built to create additional storage in the bedroom. The top has skinny drawers for accessories and small objects, and the lower portion has shelving for folded clothing storage. Making the most of the vertical space, a gallery was created of picture frames, mirrors and jewelry holders for display and convenience.